The long-term effects of a vehicle accident can be incredibly traumatizing and stressful to deal with. If you are involved in a vehicular accident, you need to think about your long-lasting injuries and determine whether you should seek financial recompense. Here are some common long-term effects of a vehicle accident. The car accident may have long-lasting injuries that can severely impact your way of life such as brain trauma and paralysis. The physical effects of a car accident on the brain can be severe, with some of them leading to serious memory problems, loss of coordination, paralysis, etc. If you get involved in a car accident, you must seek medical attention as soon as possible, even if the injuries seem to be minor. There are car accident injuries that take several weeks or months to start revealing themselves such as whiplash. Whiplash is a common injury in car accidents that occur when the head suddenly moves backward and then forward because of a great force. Whiplash is more common in car accidents that involve rear-end collisions. Some people can even continue to experience symptoms of this injury for years after the accident. You shouldn’t wait too long to see a doctor if you are interested in taking your case to court since the other party who caused the accident could argue that something other than the accident has caused your injury. Although you may seem fine after the car accident, the crash or collision could have a huge long-term effect on you that cannot be seen by the naked eye. One of the main areas in which car accidents have long-lasting effects is emotional trauma. The emotional damage you can suffer after a car accident can even be more severe than the physical injuries you got from the incident. A lot of people involved in car accidents have emotional trauma that can last for years after the accident, with some even being permanent. Among the many long-lasting emotional injuries you can suffer from a car accident are anxiety, anger, crying, emotional distress, embarrassment, fear, humiliation, lack of energy, loss of appetite, mood swings, sexual dysfunction, sleep disturbances, etc. Recovering from the emotional effects of a car accident is pretty tough. So these emotional injuries should also be taken into account when seeking compensation for the damages caused by the car accident. Post-traumatic stress disorder (PTSD) is just one of the many examples of the long-lasting psychological effects of a car accident. Post-traumatic stress disorder develops after a traumatizing event such as a car accident. People with PTSD often find it hard to live life normally. Their ability to function normally is severely affected, which causes them to be isolated and distant from their friends and loved ones. People who have PTSD are usually afraid and nervous. Some are still even in shock, and they find it hard to trust again. People who go through post-traumatic disorder find it really hard to move on from an accident. The trauma they experience is just so bad that they have constant nightmares and flashbacks about the accident. If you or your loved one was involved in a car accident and you’re now struggling with the long-lasting physical, emotional, or psychological effects of the car accident, it is important that you speak to an attorney immediately. 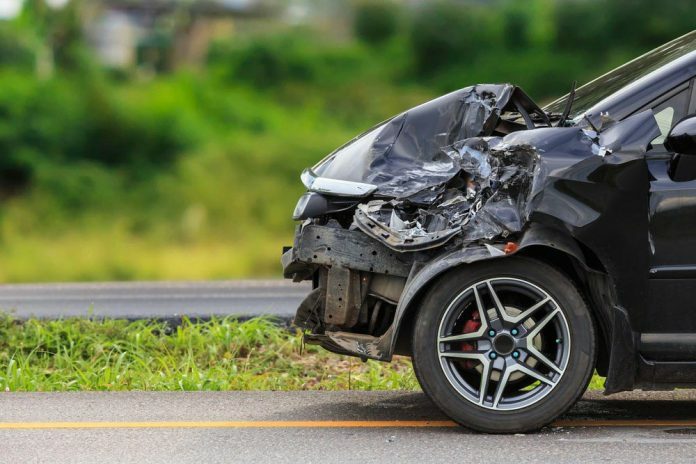 Although you should focus on recovering from the trauma you suffered from the accident, you must not ignore the legal consequences of the car accident. If for example, you are having a hard time getting compensation from your insurance company or from the other party who caused the accident, try seeking the help of an attorney so you can decide to take your claim to court. Your attorney will help you decide whether to sue the responsible party and get you all the compensation you rightfully deserve from the court. If you were involved in a car accident, you must also take into account the long-term effects of the crash on yourself. You should consider the physical or emotional pain and suffering as well as the financial losses that can come with living with chronic medical problems. Talk to an attorney like these ones here, and discuss the circumstances of your injury as well as the potential future effects of it on your life. Previous articleHow can you prove wrongful death? Timothy is a budding law writer who enjoys all aspect of the law industry. He's currently studying to become a lawyer and is applying his law knowledge into what he writes about. He spends time with his friends and swimming in his spare time.